Going on holiday in your own home turf does not have to be boring or expected. 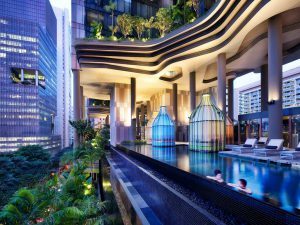 Singapore has some stunning staycation suggestions to offer, from the luxurious to the eclectic, from the art-crazy to the minimal. The weekend is nearing, you’ve had a long (and hopefully productive but most likely stressful) week at work, and frankly, you need a break and maybe even a change of scenery. You whip out your phone, go online and start flipping through pictures of white sand beaches and turquoise waters (“How much is a flight to the Philippines?” you wonder). You’re deep into pictures of tropical islands and sun-burnt tourists when you realise that you don’t have the time to go somewhere else (the weekend is too short! ), your wallet is reminding you that traveling to another country may just not be a good idea at the moment, and you’re also hassled by the idea of booking flights, accommodations, transportation, and all those fiddly little details. You suddenly feel sad and decide that you will most likely just run errands, stay home and maybe binge-watch Netflix while snacking. While that’s not necessarily a bad idea, it does not feel fresh, and you’re starting to feel sick of seeing the same walls and the same room. The answer to your predicament is a staycation. 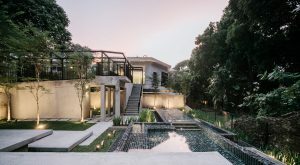 The idea of having a staycation in Singapore instead of going somewhere else might not seem as exciting, but there are many upsides to consider – you don’t have to spend too much on transportation, there’s not a lot of planning involved, it’s convenient and there are a myriad of unique places to choose from where you can enjoy a one-of-a-kind staycation experience. 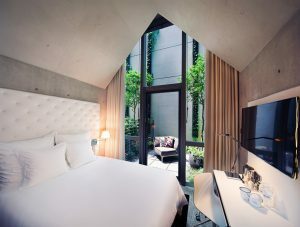 Just 10 minutes away from Orchard Road and the central business district is a boutique hotel that is a haven of the completely unexpected. 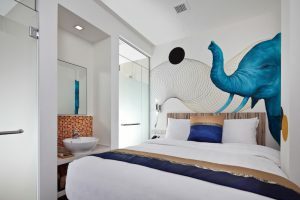 Wanderlust Hotel is a dizzyingly eclectic staycation destination that will catch your eye and turn your head with fanciful thoughts and imaginings. 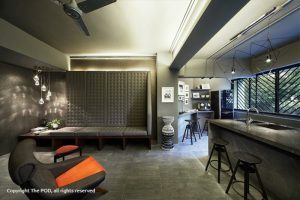 There is nothing boring or regular about Wanderlust, which has four levels, each with a different “in-your-face” theme created by Singapore’s top design agencies The Asylum, Phunk Studios, DP Architects and Ffurious, . The four themes – “Industrial Glam”, “Eccentricity”, “Is It Just Black and White?” and “Creature Comforts” – are for the curious and adventurous. If you need a dose (more like a jolt!) 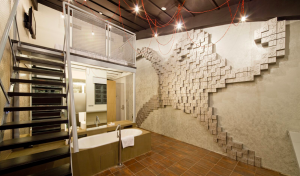 of innovative inspiration, the whimsical Wanderlust Hotel is just the place where you can get those creative juices flowing. With a backdrop like that, we’re willing to bet that you’ll go home refreshed, raring to go, and extremely inspired. 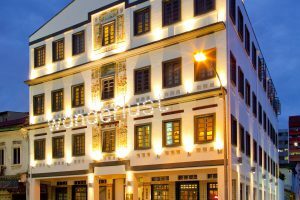 Nestled in the thriving Ann Siang Hill and Club Street nightlife community of hip restaurants, vintage art deco architecture, cool cafes and trendy wine bars, The Scarlet Singapore is “vivacious and uninhibited”. 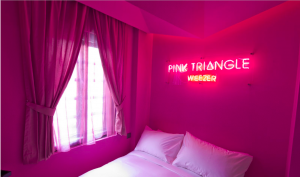 Known as Singapore’s first luxury boutique hotel, it has three restaurants (Northern Italian, Japanese and Sicilian), private jacuzzis, and boasts of 80 stunning art deco rooms and suites that are nothing short of vibrant – the colours are rich, the decorations bold, the feel extremely decadent. Escape the mundaneness of everyday life with a staycation that will feel like a dream. 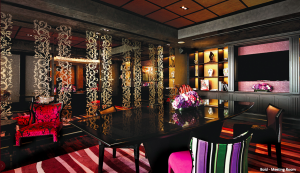 If wining and dining, lounging and indulging sound like your thing, The Scarlet Singapore is your gateway to decadence. 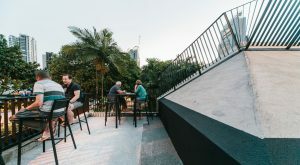 The Pod at Beach Road, which is located at the fringe of the Singapore Central Business District, has an interesting concept that sets it apart from the rest. It offers the absolute opposite to luxury, yet lacks nothing in quality, comfort or style. 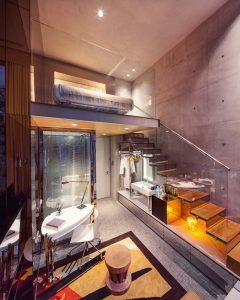 The Pod, which features 100 capsules and capsule suites, caters to discerning travellers who seek for what is only necessary. Personalised concierge services are on hand for guests’ every need so they “can focus on things that truly matter”. Breakfast, free-flowing coffee and a serene co-working space are included. Get away from the busyness, the chaos, and the stress – a one-or-two night’s stay at The Pod will sort you out with uninterrupted peace and solitude. If you desire fuss-free and convenient living, get away to The Pod. 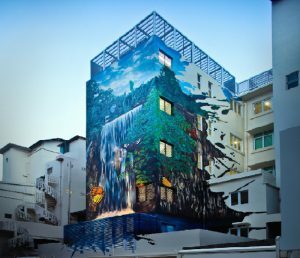 Just a short 5-minute walk away from Clarke Quay MRT station, this gorgeous hotel with its hand-painted murals is also quite a short distance to to a plethora of entertainment and dining options, making it the ideal spot for your next staycation. 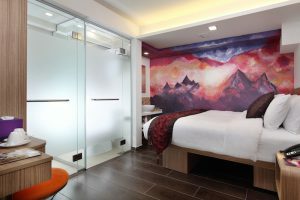 Surround yourself with original art in Hotel Clover The Arts, which has 44 individually-themed rooms with colourful wall murals in different styles, from urban street art and retro to minimalist and manga-inspired. It also offers a roof-top terrace where you can exercise, enjoy some peace and quiet with a book or create art masterpieces of your own. 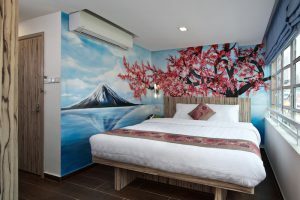 Choose your own ambience for the weekend from Hotel Clover The Arts’ selection of standout rooms with beautifully-painted murals depicting animals and different aspects of nature. 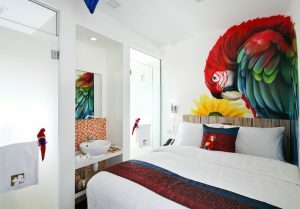 This boutique hotel is for those who like to surround themselves with colour and imagination. M Social is an exceptionally rated contemporary lifestyle hotel situated along the historic Singapore River. 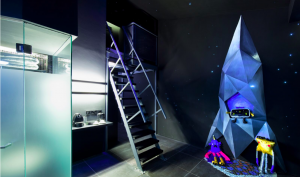 Choose from 293 eclectic and chic rooms designed by interior designer Phillipe Starck, who said that M Social, with its quirky design details, is a “stage dedicated to creative people”. 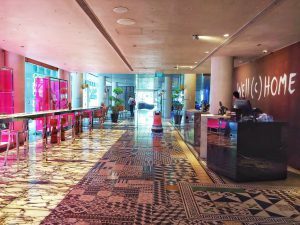 Grab some food and have a few drinks at Beast & Butterflies, M Social’s signature restaurant, which offers some of the best modern Asian-fusion cuisine in town. 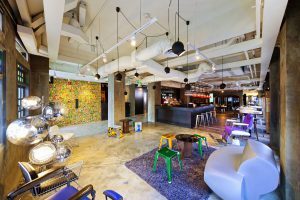 “Created for the adventurers, the explorers and those who live for new experiences”, M Social is easily one of the hippest, coolest spots in Singapore. 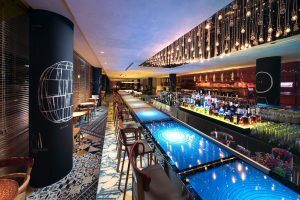 Don’t stay home when you can change it up with a night or two at this fantastic modern and chic spot, a favourite of Singapore millennials. 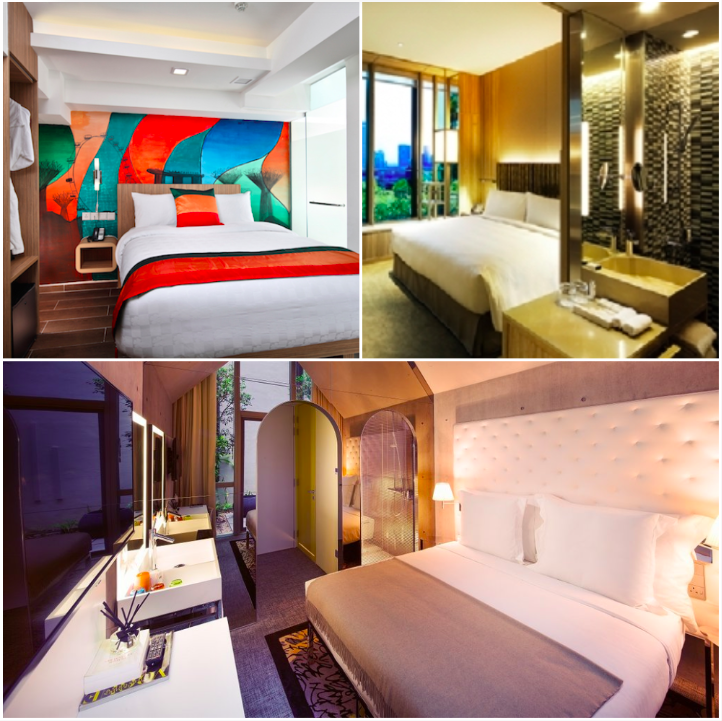 In Park Royal on Pickering Hotel, which is in the heart of the Central Business District, you will feel like you are miles away, surrounded by nature on all sides. 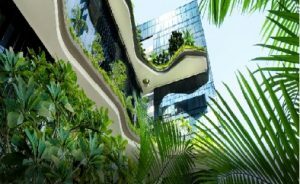 This eco-friendly luxury hotel-in-a-garden is ultra-chic and covered in lush greenery, offering some of the most spectacular, panoramic views of the city. 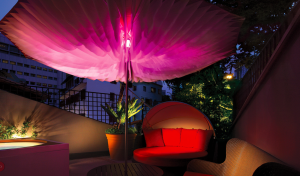 With a rooftop lounge and a whole floor dedicated to wellness, Park Royal on Pickering Hotel is where you go to escape the stress of the city life. The closest thing to being in nature is being surrounded by the greenery that the Park Royal on Pickering Hotel provides. It captures ultimate comfort and sustainability, all rolled into one beautiful, luxurious place. If you’ve got the money to spend, step your staycation game up a notch and pamper your body and mind at the relaxing retreat that is the Park Royal on Pickering Hotel. 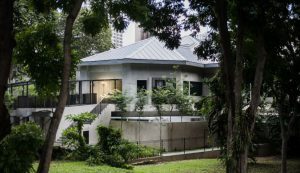 Lloyd’s Inn is in Somerset, a mere five-minute walk from Orchard Road. 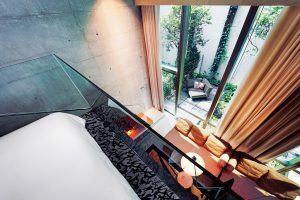 This boutique hotel offers a stripped-back canvas of whites and grays, industrial concrete walls and ornament-free design where you can achieve peace of mind without all the chaos of clutter, colour and distraction. Chic and contemporary as well as calm and peaceful at the same time, each room at the exceptionally rated Lloyd’s Inn is beautifully minimal. 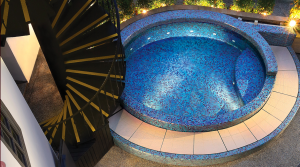 Find ultimate relaxation at the rooftop terrance, tranquil garden and wading pool. Flee the chaos and clutter of life and discover a calm place inside the sleek, minimalist walls of Lloyd’s Inn. Though sparse, quality and comfort are of the highest level. 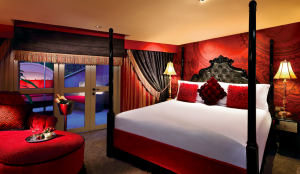 A staycation in Lloyd’s Inn promises to be a unique experience. 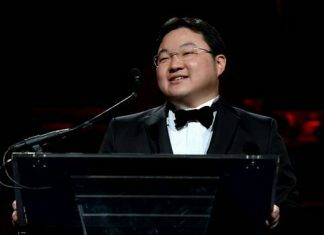 So there you have it, Singaporeans. Seven stunning staycation spots, right in your own backyard and seven unique reasons not to do the same thing every weekend. The way I see it is that the weekend is a little weekly holiday from our engrossing, complex lives. Use it well!